The Department of Health supported the recommendations of the ISFP Project Group that there should be a full-scale Parallel Recruitment Exercise (PRE) prior to live implementation in FP 2013. Its aim was to prepare logistics with the added benefits of piloting new SJT content for the item bank and raising awareness of the forthcoming changes amongst potential applicants and other stakeholders. The results of the PRE confirmed that in conjunction with the EPM, the SJT is a reliable, valid and fair method of assessment for selection to the Foundation Programme. This has been also corroborated by a later independent validation study published in 2015. All applicants to FP 2012 were invited to engage in a pilot SJT as part of the PRE, which consisted of a shortened one hour, 30 item paper. 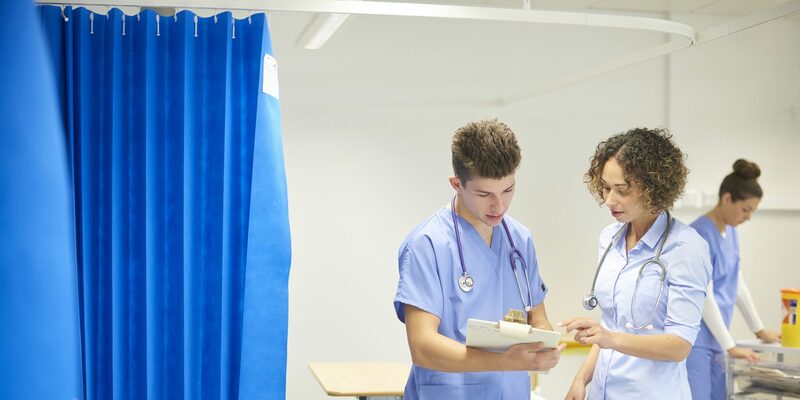 The PRE SJT was delivered by 30 UK medical schools and by two centres for Eligibility Office applicants to 6,842 participants in 72 venues across three national dates (and two exceptional dates) in November, December and January. This was equivalent to an overall participation of 90%. The PRE SJT was delivered according to national standards. A number of administrative and logistical lessons have been learnt, and efficiencies have been identified to improve the process. Full analysis and evaluation of the SJT as a tool for selection to the Foundation Programme was undertaken, and the findings were consistent with earlier research. The evaluation of the PRE SJT confirmed an operational SJT of 60 items as a reliable measurement method for selection to the Foundation Programme. As part of the PRE, all medical schools were asked to consult with students and staff from their school concerning the “basket of assessments” to be used to calculate EPM deciles in accordance with the agreed common framework. EPM deciles were calculated for applicants to FP 2012 according to the agreed framework, and the rules for how they were constructed locally were then published by each school to promote transparency. More information on the PRE is available on the SJT and EPM pages, as well as in the Final Report of the PRE. All 31 undergraduate medical schools in existence in 2011 were represented at the one-day PRE workshop for the PRE Team Leads, the individuals collectively responsible for ensuring the local success of the PRE EPM and PRE SJT. The meeting heard presentations from members of the ISFP Project Team, the academic leads for the development of both the EPM and SJT elements, and from the UKFPO, about the options appraisal, previous consultations, results of pilots and how future recruitment will work – and the implications for both medical schools and for applicants. Round table discussions offered PRE Team Leads the opportunity to hear issues and good practice from other schools, and to collectively inform the detail for the delivery of both the EPM and SJT components of the application process. Please follow the links below to access the presentation slides from the workshop. Over 120 delegates, representing foundation schools, medical schools and medical students, met for a one‐day Parallel Recruitment Exercise (PRE) Recruitment Review, chaired jointly by Professor Tony Weetman (Chair, Medical Schools Council) and Professor Derek Gallen (Director, UKFPO). The PRE had been an opportunity to ensure that the logistics for delivering the Situational Judgement Test (SJT) and Educational Performance Measure (EPM) for all 8,000 applicants simultaneously were in place ahead of implementation for FP 2013. The PRE Recruitment Review was a chance to reflect on this exercise and to ensure that lessons were learned. Please follow the links below to access the presentation slides from the review.